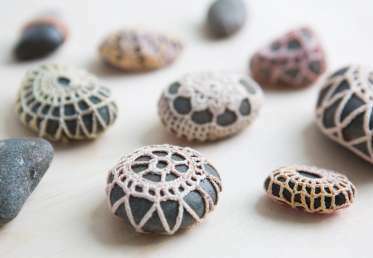 Learn how to embellish favorite found stones with gorgeous crochet patterns. 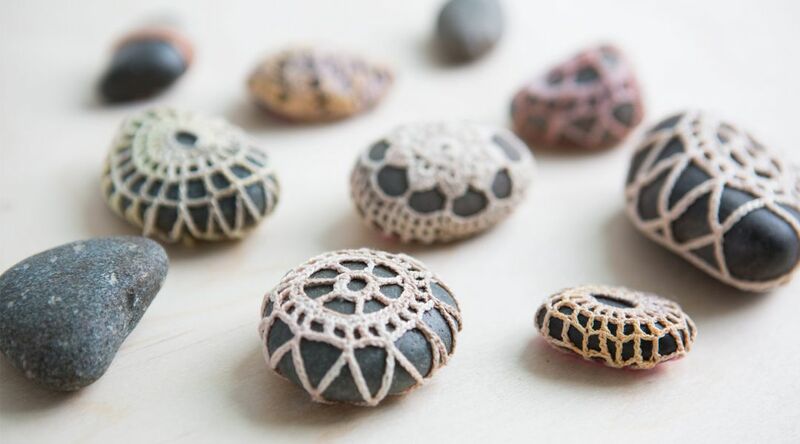 Knit and crochet designer, Anne Weil, demonstrates how to make these intricate little decorations, perfect for gifting to friends or displaying as a collection. 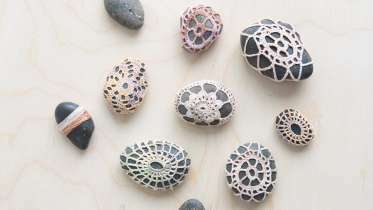 The patterns are customizable, too, so you can decorate anything from a small stone to a larger rock.